Today we’re going to look at a question from the IELTS speaking part two, also known as the “long answer” question. In this part of the exam, as you probably know, you are expected to speak for about two minutes on a given topic. The topic will be present to you on a “cue card” and you will then have a minute to make notes before you speak. In this lesson, we’re going to look at the topic of books. There are lots of different ways this could be phrased, and so, as always, you can’t just memorize an answer. In fact, in IELTS it’s always a bad idea to memorize answers. You have questions like “describe your favourite book” or “describe a book that you read in your childhood,” but today I’m going to give you a more general question. Describe a book you have read recently. So the first thing you should do is make a few notes on the topic. Of course, as we’ve discussed before, you really shouldn’t write too much. Remember – you just have one minute! Don’t write down sentences or else you’ll only have enough to speak for ten or twenty seconds. Instead, write the ideas you want to discuss or the vocabulary you may need. In this case, of course we first have to think about the book itself. What was its name, and who was the author? It doesn’t have to be an English book, but you do need to be able to give the English title and – if it was written by an English-speaking author, you also must be able to say their name. Here in China, many famous foreigners have Chinese names, or at least their names are adapted to make it easier for Chinese speakers to pronounce, and so they sound weird to an English speaker. For example, my students always talk about “Jobs” when they mean “Steve Jobs.” So make sure you know the name. Then you need to think about the tasks outlined in the cue card and make notes on them so that you don’t forget any part of it. This is where you need to make useful notes. So the first thing we need to talk about, according to the cue card, is the “kind of” book. Another way of saying that is “genre.” This means, is it a mystery novel or a romance? Is it a horror novel or a coming-of-age story? There are so many kinds of novels. Of course, you don’t need to know them all, but being able to talk about the ones that you actually like is important. Go beyond that and consider being able to discuss the book further in terms of adjectives – is it thrilling? Hilarious? Shocking? Provocative? These are some good vocabulary items to note down during your one minute. Next you should really think about the plot of the novel. You don’t need to say everything. Instead, summarize it. Think about the main action and key scenes. Talk briefly about the beginning and ending, or any important moments. 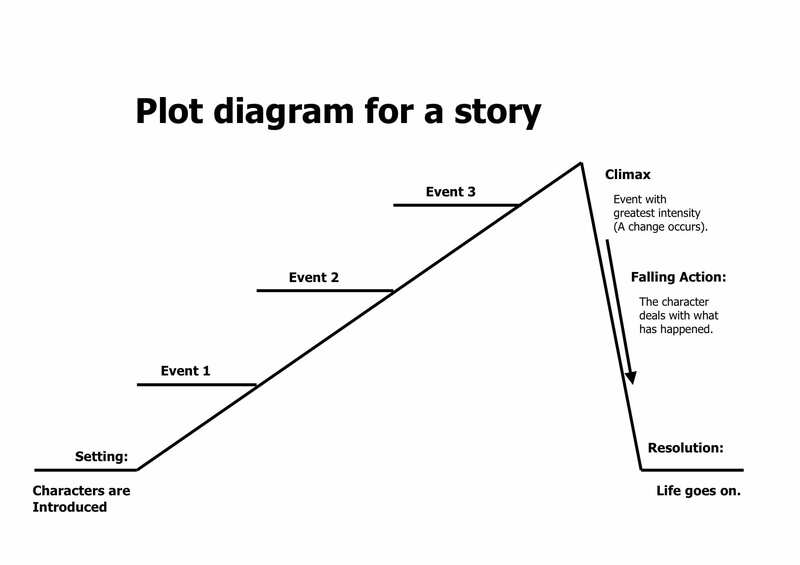 When talking about the plot of a film or book, you can use the present simple or past simple. This is because these events exist outside of time as they are immortalized in a text. They are, in a sense, always happening. The important things about IELTS speaking part 2 are that you actually answer all parts of the question, and that you do it in between 1 and 2 minutes. The order in which you give the details is not important. Therefore, you can talk about any of the cue card suggestions first or last. However, be sensible and think of a logical order in your head. Make sure these are in your notes so that you don’t forget anything. Here’s my answer to the above question. Recently, I read a novel called Before the Fall by Noah Hawley, who is the writer of some popular TV shows. It’s hard to give the genre because it’s a quite unusual book; however, it is both a drama and a mystery to some degree. The story is about a plane crash. This happens at the beginning of the book, and after that we get the back story of the people who were on the plane. We don’t know why the plane crashed although it seems like an accident. However, the mystery element comes into the book as the story develops because we are shown too many coincidences. The book also details the relationship between a man and a boy who survive the crash, and this gives the story its heart. I really enjoyed this book. Normally I prefer to read non-fiction books but in this case I was attracted to Before the Fall because I really liked the writer’s TV work and I was curious about how he would handle a novel. Ultimately, I was not disappointed. His ability to tell a good story made him an excellent novelist. Here’s my recording of the sample answer. I answered the “who wrote it” and “what kind of book” parts very quickly at the beginning and spent more time on the plot and my reaction to the book. It’s important you take into consideration while planning that some parts of the question simply aren’t possible to talk about that much. Note also the verb “detail” in that second paragraph. It’s a reporting verb used in slightly formal speech meaning roughly the same as “tells”.